Entertaining and eating is the number one summer leisure activity to do in the UK with two in three households owning some form of outdoor barbecue (18 million people). 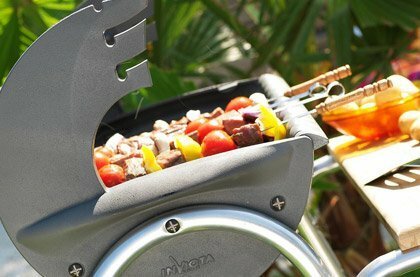 Our selection of outdoor barbecues includes portable charcoal and LPG Bottled gas barbecues as well as fixed masonry bbqs. We also have a wide range of outdoor pizza ovens, smokers and grills perfect for the most avid of al fresco chefs. 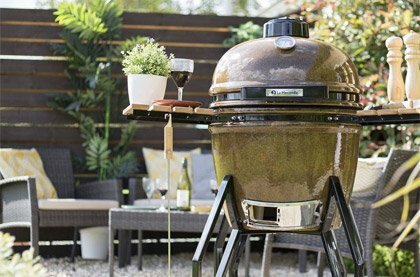 One of our outdoor barbecues or ovens will be the perfect addition to your garden. When it comes to barbecuing you are faced with age old choice; charcoal or gas. The smoky taste, the novelty aprons, the unmistakable scent of summer; these are the hallmarks of a charcoal barbecue, the original outdoor oven. This selection of charcoal barbecues puts you in the driving seat, replete with latest technology for precise temperature control and high end cooking. Choose between stone, cast-iron and stainless steel models from some of the world's leading designers. Whereas LPG barbecues are all of the fun and none of the faff. No need to wait for that fusty old charcoal to get up to heat, simply hit the gas and get cooking. Impromptu barbecues are now firmly in the realms of possibility, found yourself free on an unexpectedly sunny afternoon? You'll be glad of your new LPG barbecue, now you can get out into the sunshine and prove that you're the true king of the grill. What's that on the horizon, casting a long shadow over the barbecues of old? The pizza oven now emerges to dominate the outdoor cooking market; burgers, sausages and kebabs are all very well, but they are no match for a freshly cooked pizza, hand-made only moments ago, now all crisp crust and bubbling cheese in a matter of minutes. Our pizza ovens are available as modular add-ons for existing barbecues or as self-contained discrete entities. 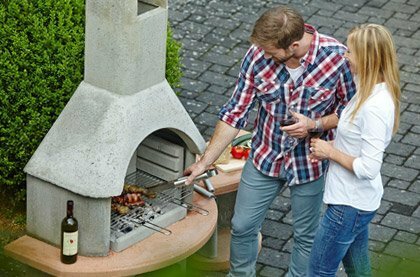 Owning a barbecue or pizza oven is a lifestyle choice, revolutionising your social life and your outdoor space simultaneously. Your garden will quickly become the place to be, an al fresco kitchen and you're the head chef (just don't let the power go to your head). Entertaining guests has never been easier, or more enjoyable, your summers will never be the same again. 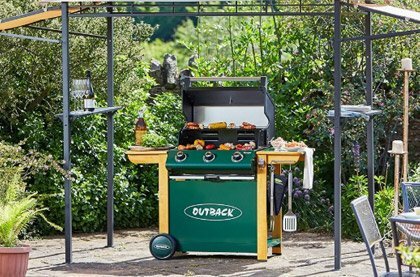 Our selection of barbecues and pizza ovens are perfect if you are looking to bring the kitchen outside and into the garden. If the selection is too broad for your needs or requirements, try using our filters to narrow your search criteria at the side of this page, so you can easily find the barbecue that’s right for you.